← Child rearing – What spiritual practice helps? Healing presence – How to have this? 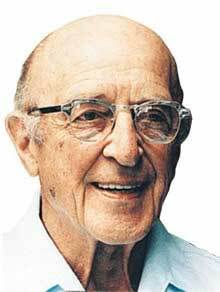 One of the conditions of a healing presence in counselling, according to Carl Rogers, is unconditional acceptance. The counsellor is not meant to judge the client who consequently becomes less fearful of talking about things about which he or she feels guilty or ashamed. Some people believe that unconditional acceptance can be a healing factor also in ordinary interactions of everyday life. For them this would involve practising forgiveness when someone hurts you, and giving encouragement to those who fail to show good behavior, and even not criticising those who do wrong. But just how realistic is this approach? We don’t choose our neighbours, nor our bosses and work-mates, not even our relatives. Sometimes these people are uncomfortable to live with, difficult to talk to, or they just break the normal social rules. What they do may conflict with your own interest. So just how do you adopt a healing attitude irrespective of their behaviour? One answer might be to do with the spirit of give and take. Children learn to take turns in throwing the dice in a board game. Adults resolve awkward situations in a similar way for example by taking turns with friends to pay for a round of drinks in the pub or taking one’s turn in the checkout queue at the supermarket. But this isn’t unconditional acceptance. You can have your turn on the condition I get my turn too. Children also learn to share things. They might share a toy. Each individual gets a slice of the cake. Restaurant staff often share out tips customers have left. When you come to think of it there are innumerable examples of how people practise sharing. The social norm is we give on the understanding we also receive. But does sharing amount to giving on an unconditional basis? Not that people always take turns or fairly share things even in close intimate relationships. Do you and your partner fairly share the responsibility of earning money, doing DIY, making social arrangements, maintaining the garden, looking after the children etc? Or does one partner do more of the work than the other? Do you share decision-making in financial affairs? Or does one of you actually determine more of the important choices? In other words even in close relationships there are conditions – each feels it sensible to ensure their own needs are not neglected. And the notion of unconditional acceptance seems even less realistic where the relationship is fraught and where you would rather avoid the other person if it were possible, thanks very much. The trouble is we are obliged to communicate with all sorts of people regardless of any differences of opinion or any unwillingess to co-operate. Collaboration with such a person may be a non-starter – after all it takes two to tango and however willing you are to work on an issue the other person may not be. In trying to adopt a healing presence it is perhaps easier to say what not to do. Not jumping to conclusions about the character of the person. Not discriminating against them on the basis of social prejudice. Not rejecting the person who behaves in ways you assess as unacceptable. And of course not showing hostility. Sometimes you might get involved with someone who turns out to be quite needy. It seems that you are doing all the giving and the other person doing all the taking. This can happen at work, with your friends, or even in the family. You seem to be giving more and more of your time to listening to their worries and complaints — time that you would have spent doing your own thing. And when you try to put some limits on what you do for him or her, this person seems very good at pressing your guilt button. You start to dread that phone call or knock on the door. Failing to set boundaries on one’s time for this type of person will likely result in you eventually getting burnt out: other people in your life just get less of you. Giving in to the demands of such a person may not help heal their inadequacy. Sometimes healing involves pointing out unpleasant consequences or issuing a challenge. I would suggest that adopting a healing approach to people means looking for what is good in them, rather than being preoccupied by what is bad. Recognising their strengths and good intentions rather than feeling aggrieved about their weaknesses. I believe there can be a stumbling block hindering this healing attitude: it is to do with one’s self-attitude. In my view you can’t forgive others until you can first forgive yourself: you can’t encourage others until you can first encourage yourself: you can’t take care of the needs of others until you first take care of your own basic needs. I would say that to be a healing presence you need to accept yourself ‘warts and all’ and then you have a chance of accepting other people. Physican first heal yourself!